Jerry Della Femina, founder of Della Femina Travisano & Partners (now DFJP), reminds me a lot of the ads he's sprinkled in TV Land's past. Remember Meowmix's singing cat? And Joe Isuzu? Like the spots, he's impossible to get out of your head. Because Jerry's voice could cut through Valium. You will listen to every last thing he has to say, uncertain whether it's the ideas seducing you or the man's own confidence. In the hour Della Femina spoke during One Show's Tuesday afternoon speaker session, I could have filled notebooks with what he continuously called "secrets of life" and "career advice." Considering we had to sit through the awards ceremony while standing amidst an indecent amount of beer and alcohol, the event was pretty swanky. The ads were amazing and the crowd littered with select members of the design elite. But I was disappointed to find most pencil recipients didn't bother to send anybody by to pick their awards up. I hate the *cricket, cricket* feel of accolades left unclaimed. One thing I love about the One Show speaker sessions: they're only an hour long. And because the speakers want to show off their advertising, they have to be brief where actual talking is concerned. Between ESPN and Nike plugs, Wieden+Kennedy's Kevin Proudfoot shared five guidelines for establishing intimacy with users. Intimacy, he imparted, is key to brand success. 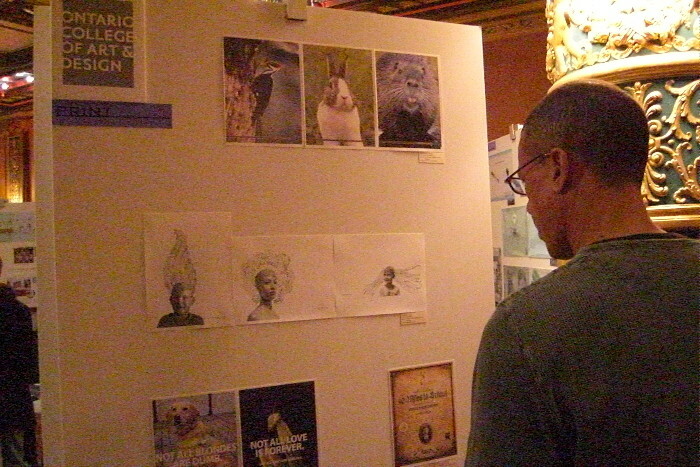 On Monday night I hit One Club's 14th Annual Student Exhibition. 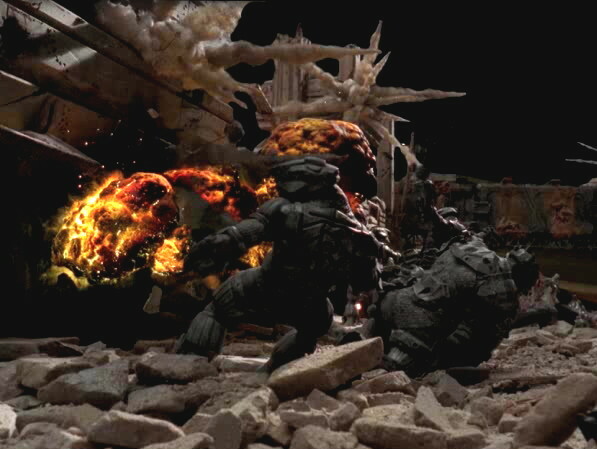 Buzzing from a bottled cola high, creatives-in-training hovered from display to display, murmuring competitive remarks. It kind of felt like a grade school science fair. I think I'm on suicide watch at Helmsley's Park Lane Hotel. 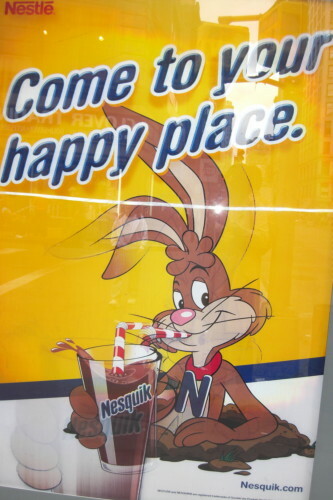 Somewhere around Madison and 28th St., I contemplated this while absorbing the sight of the NesQuik rabbit, whose gentle invitation to "come to your happy place" seemed to exist just for me. Monday the 5th kicks off the One Show madness in NYC all next week. This may be your golden opportunity to stand in dark corners with me (!!! 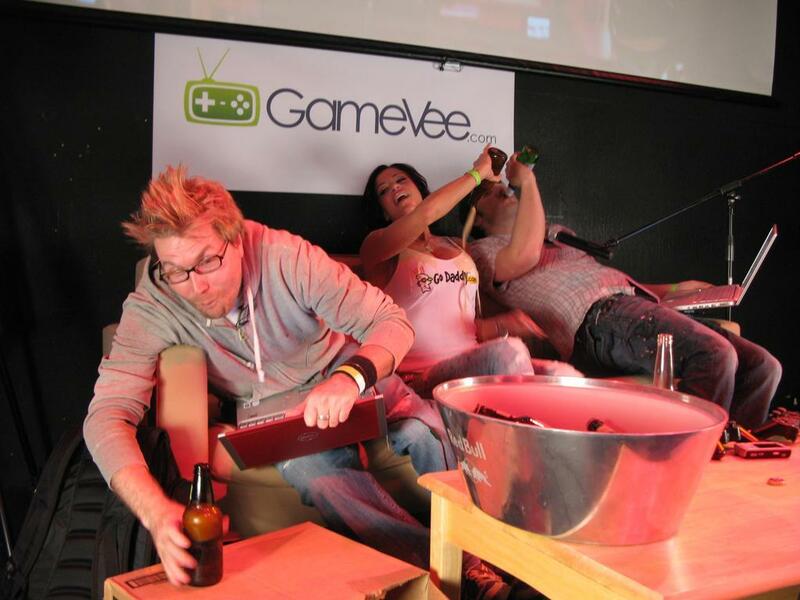 ), get trashed, and make fun of those less fortunate.